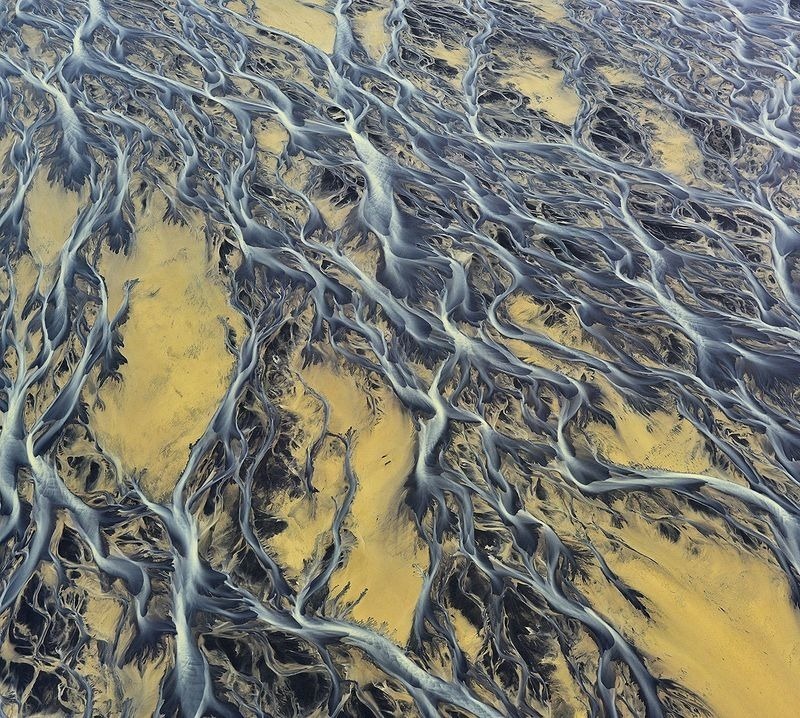 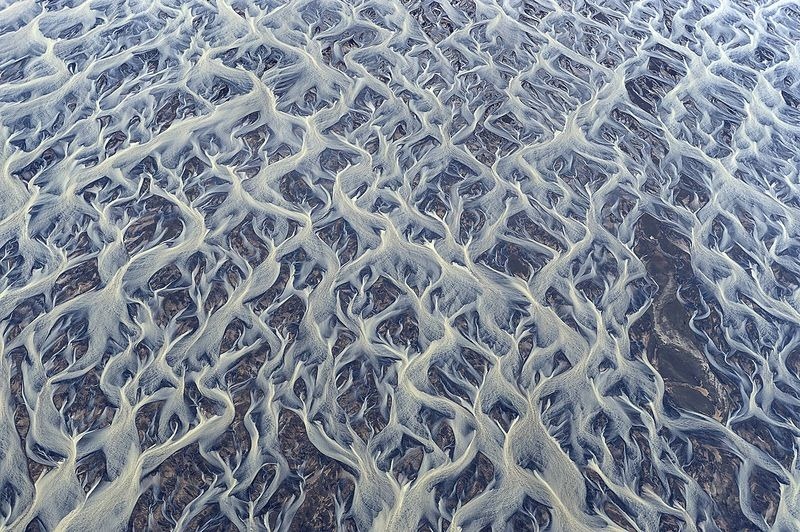 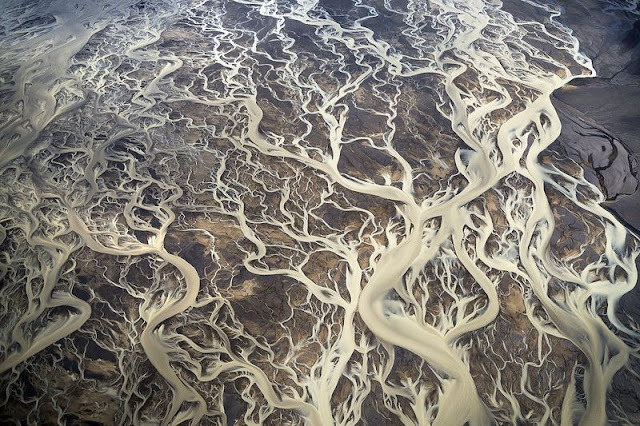 A braided river in Iceland. 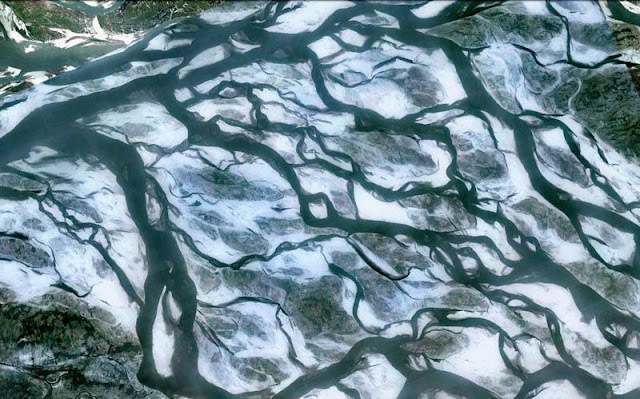 The Brahmaputra River in Tibet, India and Bangladesh is another classic example. 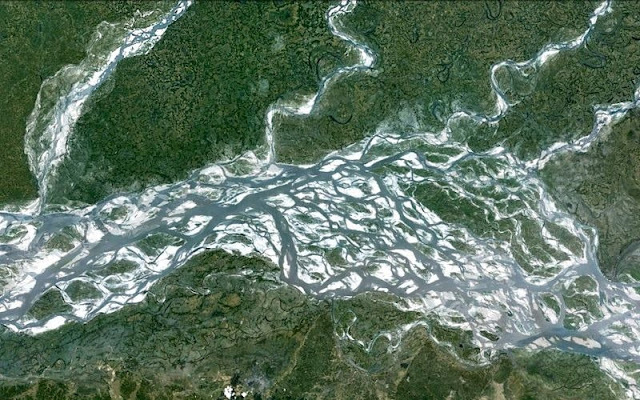 The river originates in Tibet and enters India through the state of Arunachal Pradesh. The river gets intricately braided once it enters the state of Assam where it acquires its common name Brahmaputra. For the next 700 km of its braided course through the valley, it gets mighty big even in the dry season. 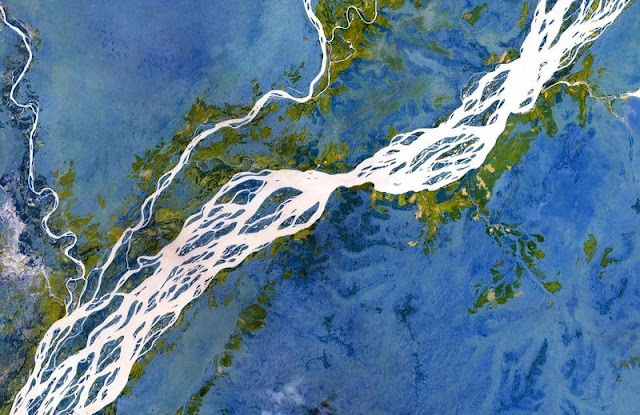 During rains, its banks are more than 8 km apart. 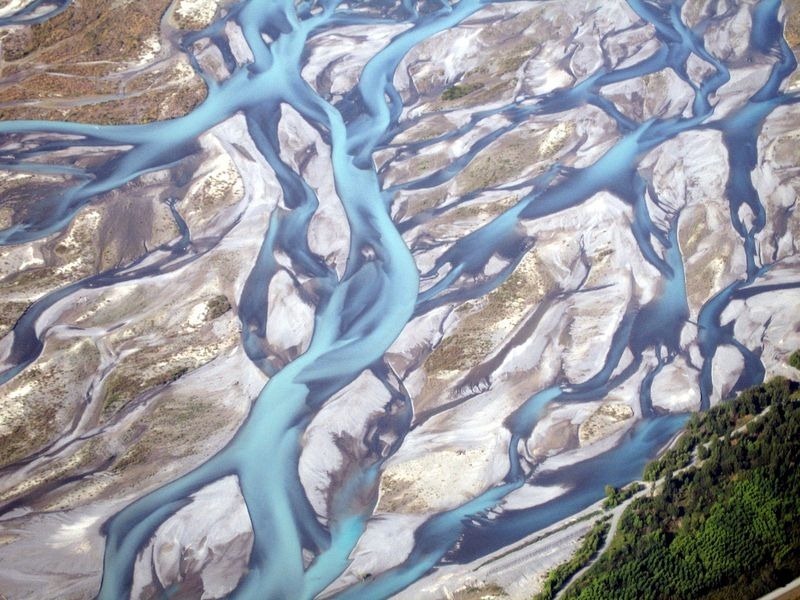 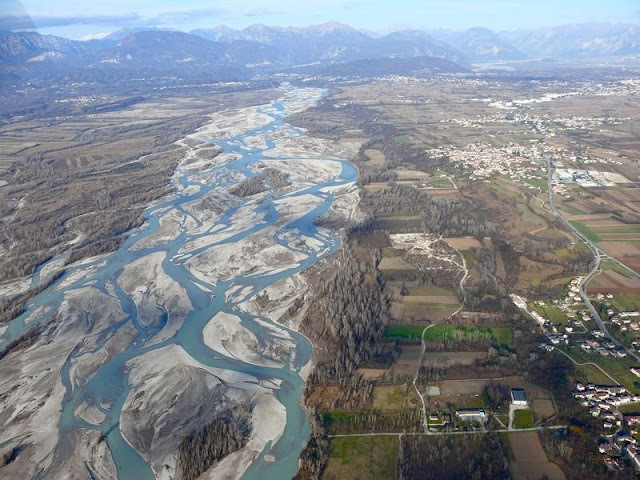 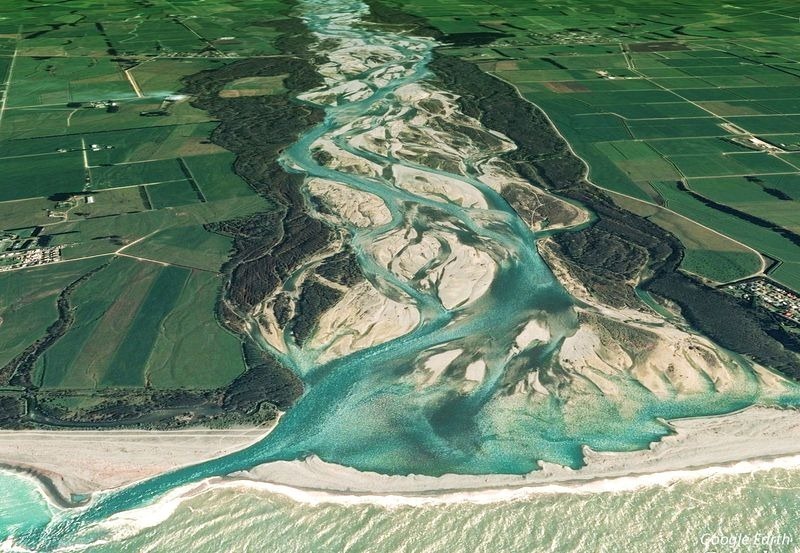 The Tagliamento River in north-east Italy is braided as it flows from the Alps to the Adriatic Sea. 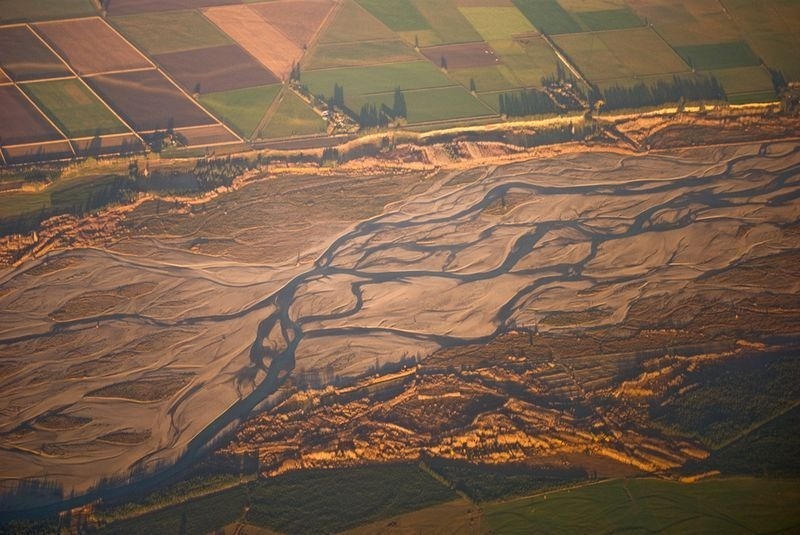 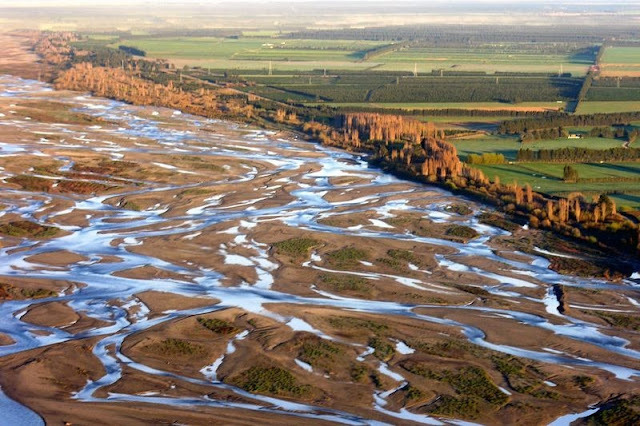 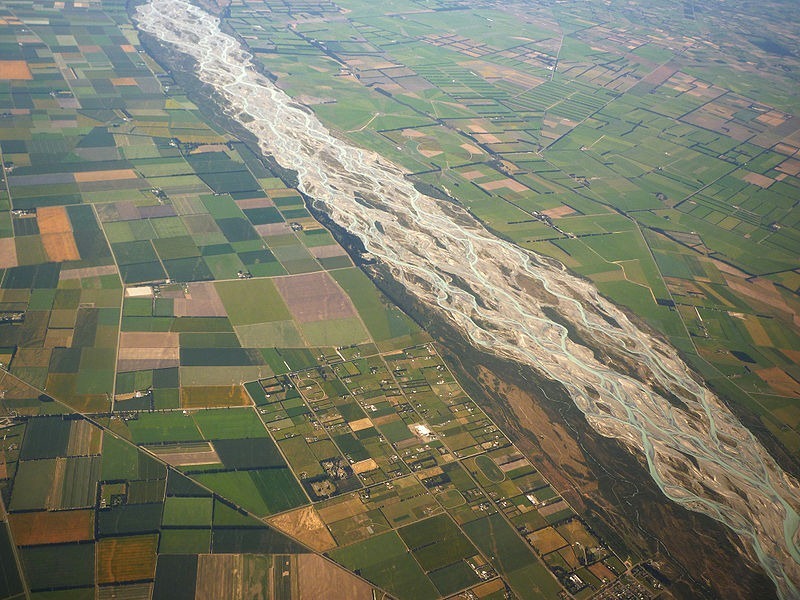 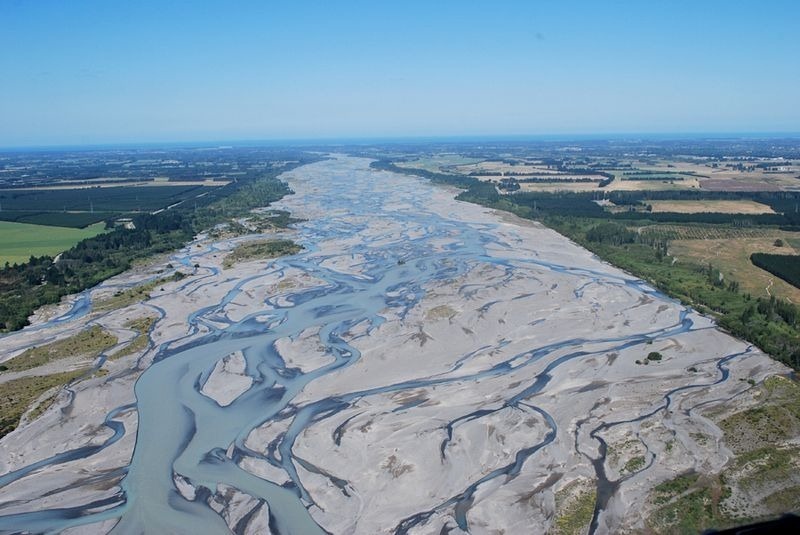 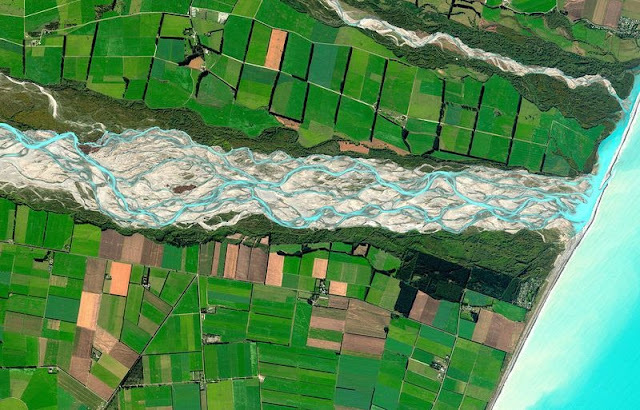 The Waimakariri River in the South Island of New Zealand, is a braided river, about a kilometer wide with many changing channels cutting through the shingle. 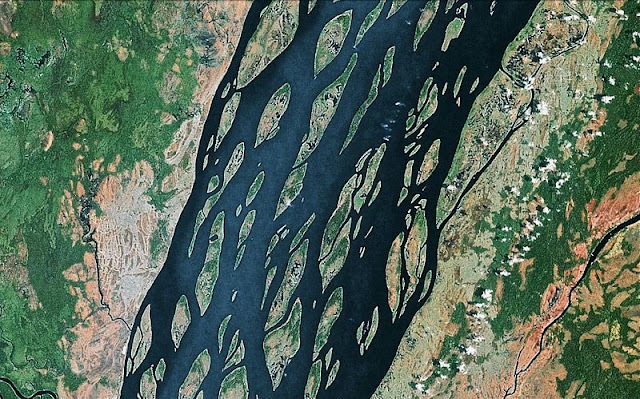 A Landsat image of a braided section of the Congo River. 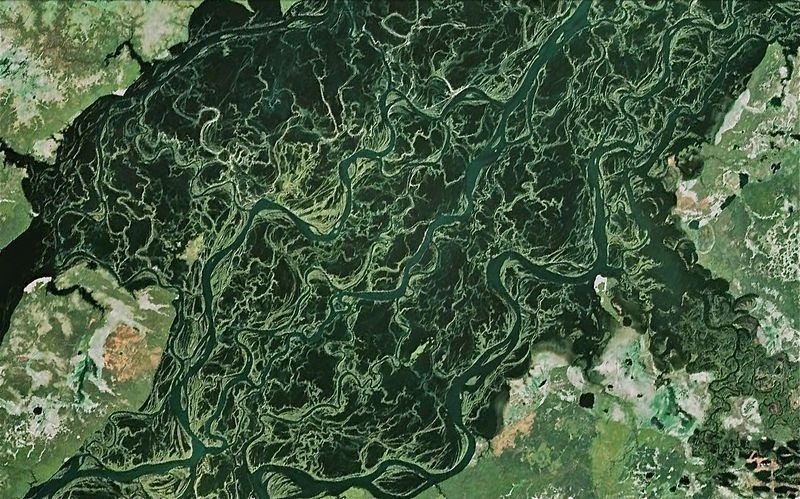 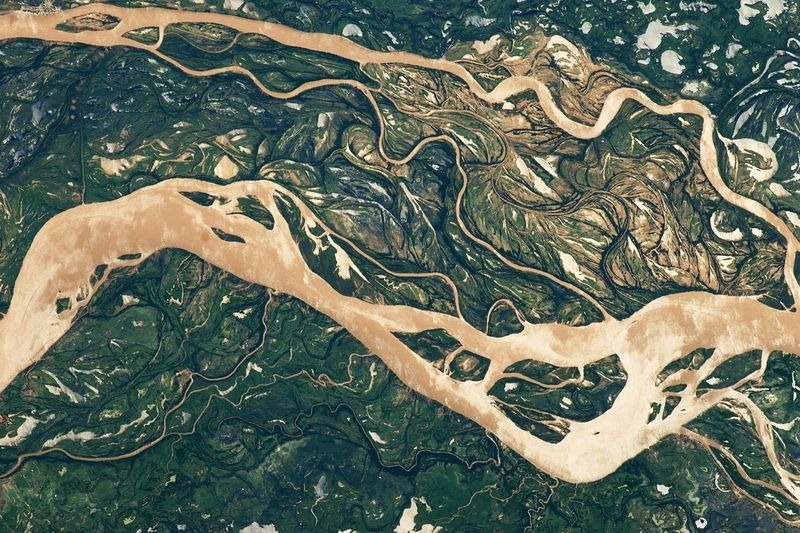 The Ob River in western Siberia, Russia, is the world's seventh longest river. The Paraná River in South America. This photograph shows a 29-kilometer stretch of the Paraná, downstream of the small city of Goya, Argentina.